Hey guys. Happy Tuesday. Since the kids had off school yesterday for MLK, we had a play date. It was an exhausting day for so many reasons. Today we are getting back to normal even though we had a rough start for my kids this morning. I am having a positive outlook and hoping the day is great. It is the third Tuesday of the month which can only mean Tuesday Talk with Ashley and Erika. 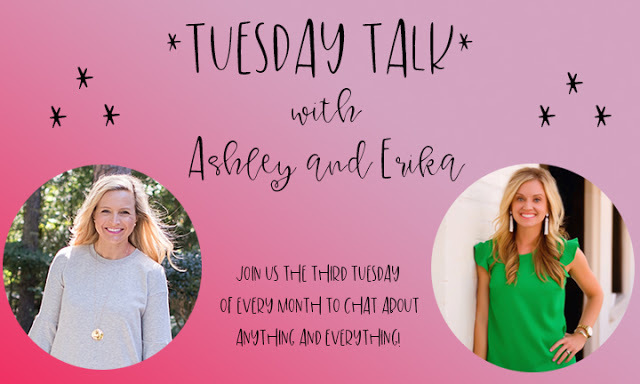 Each month they do a fun little link-up where you are supposed to chat about anything and everything. 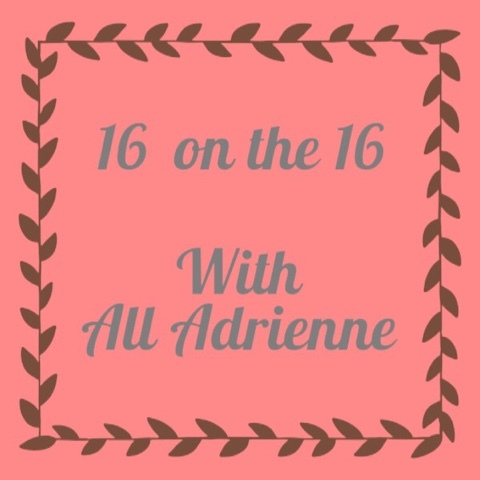 I am starting a new series I am going to do each month on the 16 where I share 16 random facts about me. I love snow, but hate cold. It is beautiful but you won't normally find me outside in it. When I was a teenager I was actively pursuing a singing career as well as writing my own songs. I have one older sister, Sarah. I have a few very close girlfriends who I also consider to be my sister. I learned to drive on the drag strip. I have a faster reaction time than your average drag racer. I would rather do laundry any day over dishes. I was the evening operations manager at a large chain hotel for a year and a half. I hated it and really realized family is more important than any amount of money. I prefer to listen to podcasts in the car over music. But I can't listen to "talk or sports radio"
The only sport I ever played was t-ball one year. Working out/exercise used to be torture and linked to painful memories. I have learned to enjoy working out now and see it as my "ME" time. I gave up pop/soda when I was 14. I only drink it on very rare occasions. Camping is one of my favorite childhood memories. We use to go camping at least once a month. I have always loved Mandy Moore. I knew Michelle Branch and Jessica Harp before they were famous, but we lost contact over the years. Brian and I met while both working at Dunkin Donuts. He was my manager.